In this exclusive commentary from Hans Stieltjes and Tom Verhaeghe (Janssen, Belgium) the authors discuss the benefits of having multiple microsamping techniques in the lab. Hans Stieltjes graduated in Organic and Analytical Chemistry at the Free University of Amsterdam, The Netherlands. 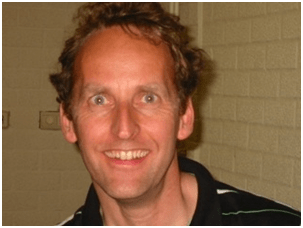 After working in bioana lysis in a university hospital laboratory (4 years) and contract laboratory (CRO) for 6 years, he joined Janssen R&D (Beerse, Belgium) in 2004. At Janssen R&D Hans is working in the bioanalytical department giving support for projects in both the nonclinical and clinical stages of compound development. This also includes method development and trouble shooting for bioanalytical methods, and giving scientific and regulatory support to colleagues and trainees. He also has an active role in outsourcing methods for new compounds, monitoring method validations and sample analysis. Besides this, he is active in implementing various microsampling procedures for nonclinical studies and scientific validation procedures for clinical studies internally and at CROs. 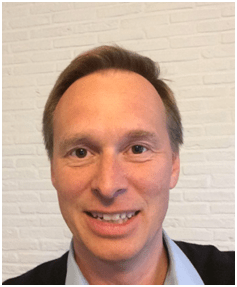 Tom Verhaeghe is scientific director of the Development Bioanalysis Group of Janssen Research and Development in Beerse, Belgium. In this role, Tom has global responsibility for the full range of activities in support of preclinical and clinical bioanalysis for small molecule new molecular entities ranging from method development, method validation, sample analysis, project interface support, outsourcing, and maintenance of quality and compliance standards for the group. Tom joined Janssen in 1996 with a specialty in GC–MS. Tom earned his PhD in Analytical Chemistry from KU Leuven (Belgium) in 1993. In a previous commentary in early 2015, we discussed the use of a noncapillary microsampling technique for good laboratory practice (GLP) in nonclinical studies . One of the messages we received was that the choice of sampling materials is important to attain good quality data, because of the smaller sampling volumes. In this commentary, additional data relevant for a capillary microsampling (CMS) technique is presented. Furthermore, the benefit of having multiple microsampling techniques in the lab is discussed; however the focus remains on ‘wet plasma’ sampling procedures. An important limitation to non-CMS as previously described is that accurate pipetting of small volumes (10 µl) is conducted by the animal technicians at the sample collection site and outside of the control of the bioanalyst. Although this was tested to be feasible, it is difficult to let go of the control over this pipetting in the in vivo group. Adding QC samples to monitor the pipetting performance of the biotechnicians, on a daily basis or per study, was not considered practical in the hectic environment of sampling multiple time points from multiple animals. Performing accurate pipetting at the bioanalysis lab, along with QC samples, is more in line with generally accepted bioanalytical procedures for regulated studies. Moving the entire sample aliquoting phase to the bioanalytical lab was however not considered feasible either. Although it would be possible to collect ‘all’ plasma and take an accurate aliquot from this at a later stage, this was rejected as well. Accurate pipetting of a small subaliquot from an already small plasma volume is also challenging. Once a small plasma volume, especially from rodents, has undergone a freeze–thaw cycle, subaliquoting can become even more challenging due to changes in the consistency of the matrix. The above does not mean that the non-CMS technique cannot be applied with sufficient quality. While still suitable for early rodent studies, it is a matter of ‘proof of quality’ that may make it less suitable for supporting GLP studies. This was one of the reasons to move to CMS, which by now is considered to be a far easier technique than the non-CMS approach. Also with CMS one must be prudent of material use. There are two approaches for CMS, as explained in several publications [2, 3] and presentations [4,5,6]. In the approach of Johnsson O , or the Vitrex technique, a 32-µl volume of blood is collected into a capillary coated with an anticoagulant, mostly K2EDTA. Vitrex or Hirschmann, to name two, provide these hematocrit capillaries. After collection, one end of the capillary (the end that has been in contact with the blood drop) is sealed with a wax plug. After centrifugation, the capillary is cut just above the layer between blood cells and plasma. An accurate plasma volume is transferred to a small-volume, noncoated, end-to-end capillary. Depending on the collected blood volume this can be multiple capillaries, with volumes as low as 1 µl each. This capillary is transferred to a suitable container and stored then shipped to the bioanalytical facility for further processing. This capillary can be processed in its entirety, or the plasma can be washed out with a suitable solvent to allow taking multiple aliquots for further processing. A second technique, the Drummond technique, uses a capillary that contains a gas-open plug on one end, and a thixotropic gel . After collecting the blood (usually 70 µl), the capillary is centrifuged. The gel helps separating the blood cells from the plasma, while the gas-open plug prevents leakage of blood from the capillary. However, compounds may migrate into the gel, resulting in a lower recovery of the compound from the plasma. With a piston, through the plug, the entire blood and plasma layer are pushed upwards, until the plasma can be collected into a suitable storage container. From this plasma, accurate aliquots can be taken for further processing. This requires accurate pipetting of volumes of a few microliters from an already small volume. As aforementioned, after freeze-thawing this may be challenging due to clot formation, which can be an issue with rat and even more so in mouse plasma. Also, this technique requires more than two-times the volume of blood compared to the technique with hematocrit capillaries (70 vs 32 µl) to enable a large enough plasma volume from which a series of accurate aliquots (5 µl or more, for smaller volumes the accuracy is reduced considerably) can be taken. In our lab, we have opted for the Vitrex technique. From 32 µl of blood from rats we easily obtain an accurate 10-µl plasma sample in a capillary. In case of insufficient blood volume, which has happened very rarely, we use a 4-µl capillary to collect the resulting plasma sample. With mice it is also possible to take 10-µl of plasma from 32 µl of blood, but it may be required to switch to 4 µl of plasma more often due to the higher hematocrit. For early-phase non-GLP studies, the sample is entirely processed, mostly by the addition of acetonitrile followed by vortex mixing. Clogging of the end-to-end capillary has not been observed and the procedure is quite straightforward. For GLP studies, the sample is not entirely processed as a sufficient sample should be available for eventual re-analysis, incurred sample reproducibility testing or metabolite identification and profiling. For that reason the sample is washed out with a 2% BSA solution (10 volumes) followed by horizontal shaking for 10 min. From the resulting sample, multiple aliquots can then be taken for analysis. With this process, it is important to notice that, unlike the use of a ‘traditional’ plasma sample, there is quite some contact between the cap of the tube and the plasma/buffer mixture during the horizontal shaking while the protein content of the diluted sample is lowered by a factor of ten. Depending on the analyte and the type of cap, this might introduce the risk of lowered recovery due to adsorption. Using the same set of compounds that we tested for our non-capillary procedure , we evaluated the recovery with this CMS procedure, using various caps and tubes. It was observed that the use of soft push caps may reduce the recovery of some analytes, while the use of polypropylene closures (screw caps) did not have an influence at all (Table 1). It is therefore advisable to stay away from soft closures, unless testing has proven that adsorption is not an issue for the analyte being evaluated. Table 1: Recovery (%) compared to freshly spiked plasma: collection after 5-min and 2-h incubation in the tube at room temperature and cooled with melting ice. Although the above-described techniques will work in the majority of cases, there are situations where adaptation of the method might be necessary. These include but are not limited to instability, sensitivity and metabolites. In the case of instability of the analyte and/or metabolites, extra precautions may be needed. By default, blood is cooled on melting ice to allow centrifugation without any risk of losing the wax plug. However, because of the small volumes and manual actions to transfer the plasma to another capillary, the sample may warm too fast to ensure sufficient analyte stability. Subsequent cooling is not immediately effective as the capillary is separated from melting ice by an air volume in the tube. In those situations a non-CMS approach is more effective. It allows for immediate addition of a stabilizer, while with the Vitrex technique this would require an immediate washout after sampling. Both the Vitrex and Drummond techniques have the disadvantage that warming of the sample may be too quick to be controlled, because of the high surface:volume ratio of capillaries compared to a volume in a small tube. Add a stabilizer in the diluents, immediately after plasma sampling, for example, formic acid, sodium fluoride or others. In this case the washout procedure is carried out at the in vivo facility instead of in the bioanalytical lab. Immediately process the plasma sample with precipitant, for example, acetonitrile, after sampling. This is similar to the first situation except that in principle the entire sample preparation is already performed at the in vivo facility. In theory, no further sample processing would then be required and the sample as such is amenable to LC–MS/MS analysis. Split samples: instead of collecting plasma into one 10-µl capillary, collect two 4- or 5-µl capillaries and process the samples differently depending on the requirements. This may also be an option in case samples need to be shipped and a backup sample is required as a precaution in the event of a shipment going wrong. This is not our preferred strategy, as we have never experienced samples being lost during shipment, but it might be common practice in other companies. Move to blood CMS, and use one of the options above. Two 15-µl blood capillaries provide the same possibilities as with the plasma CMS procedure without increasing the total blood collection volume. The above-mentioned options are of course also possible with non-CMS. While with current LC–MS/MS instruments sensitivity is most of the times not an issue for bioanalysis in toxicology studies, there might be situations when for example the compound is administered topically or at low doses and large sample volumes are required to attain the required lower limit of quantification. The above-described second option would be possible to avoid extra dilution. Also, one could collect a larger sample, for example, 64 µl, and modify procedures to end up with a less diluted sample, or take a larger subaliquot for sample analysis. For non-CMS, tube volumes of 80 or 100 µl are available, which can also help to resolve the challenges with sensitivity. A volume of 100 µl of blood may not sound like a microsample, but often still is a much smaller volume than would be collected via traditional sampling (typically 300 µl of blood from a rat). Samples may need to be used for metabolite identification and profiling. This may put higher demands on the sample volumes. However, by selective pooling of samples, the required volume may still be sufficient for this purpose. Option three also provides the possibility to treat a subsample differently from the main sample in case metabolite stability requires this. Taking a slightly larger sample with CMS (and collecting multiple sub-samples) or with non-CMS also offers a way to enable metabolite evaluations if required, while still greatly reducing the impact on animals. At Janssen an evolution from regular sampling via non-CMS sampling to CMS sampling has taken place for non-GLP rodent studies over many years. Since last year CMS has become the method of choice in GLP toxicology studies in rats. Having gained experience with multiple techniques has provided us with the opportunity to adapt procedures to the needs of the project, while still having a clear preference for CMS. This has helped in discussions with project teams to adopt microsampling techniques in regulated studies, keeping in mind those samples may be needed for other purposes as well. Current practices continue to be evaluated, revised or changed if needed, based on new developments within and outside our company. Introduction of CMS in mouse and rabbit GLP studies is ongoing. Maybe this technique will be applied for studies with other species as well. Reasons for this are faster and easier sampling and/or reduced stress for the animal, for example, for minipigs. Except for some special studies, there are no concrete plans (yet) to apply CMS in clinical studies on a routine basis. There are two main reasons for this. The first reason is that the maximum allowed blood volume for humans is rather high compared to most of the pharmacokinetic needs. Therefore, the driver to reduce sample volumes is limited to a few situations in which there might be conflicts with required samples for biomarkers, safety parameters and interacting drugs, for neonatal or pediatric studies or for studies with patients that cannot afford to lose a lot of blood. Rather than restricting individual sample volumes, a compromise of parameters that have priority is often negotiated. The second reason is that, although easy to learn, the procedure still requires some practice to be correctly applied. While that might be possible for Phase I studies, arranging adequate training for all clinical sites in multi-site studies is quite challenging. Blood CMS is used for studies for which classical plasma sampling is not an option. Refinement of CMS procedures for plasma is required to pave the road to a general adoption of this technique in the clinic. Some companies, for example Shimadzu Techno-Research (Kyoto, Japan), are working on this, but it may take quite some years before the use of microsampling in clinical trials reaches the level of practice and acceptance as is currently the case for nonclinical studies, while for those there certainly is room for broader acceptance as well. In the end, it might well be that the ultimate, best suited microsampling technique for clinical use will be different from the best practices for nonclinical studies. Johnson O, Palma Villar R, Nilsson LB et al. Capillary microsampling of 25 µl blood for the determination of toxicokinetic parameters in regulatory studies in animals. Bioanalysis4(6), 661––674 (2012). Bowen CL, Licea-Perez H, Karlinsey MZ et al. A novel approach to capillary plasma microsampling for quantitative bioanalysis. Bioanalysis5(9), 1131–1135 (2013). This article was featured in an interactive supplement on microsampling published on Bioanalysis Zone. Click here to read the complete supplement. This technique should be move forward. I don’t know why this can not regulated. This is a direction to go.